Quirky books that readers love--all four and five stars! 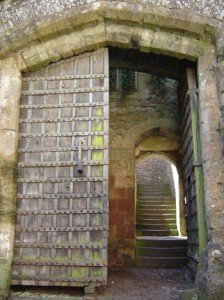 Castle Gate Press has gone indie, meaning that we’re happily providing services to authors. These services include book layout, editing, mentoring, and advice. We are thrilled to be able to foster development of authors, particularly in Christian sci-fi/fantasy, our favorite genre. We’re proud of our run as a small press, especially our Selah Award and our Amazon genre #1 bestseller. 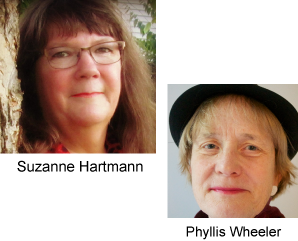 And we’re looking forward to Realm Makers, the conference for writers of Christian speculative fiction, scheduled for July 18-20 in St. Louis. Castle Gate Press was born at the first Realm Makers in 2013, and we’ve been able to attend every single one each year since. This summer, too! So if you want a big dose of help and encouragement, writers, come to Realm Makers! We’ll be looking forward to meeting you! NEWSLETTER SIGNUP. 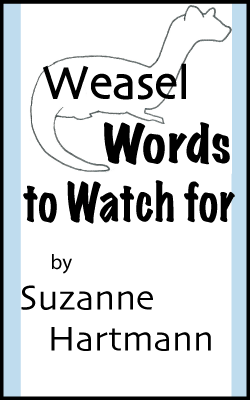 Get Weasel Words, tips for writers. Stay informed on our promos and posts for writers and readers. We will never share your email info with anyone. Unsubscribe any time. Pin any image on this page! About Suzanne Hartmann: Author of Fast Track Thrillers. Writer of WRITE THIS WAY: TAKE YOUR WRITING TO A NEW LEVEL, a resource for novice and veteran authors. A teacher, wife, and homeschooling mom. About Phyllis Wheeler: Fiction editor and writer with a background in the news business. Reviewer of speculative fiction from a Christian worldview. Publisher of homeschooling curriculum at MotherboardBooks.com. Wife and mother of four.